The Wednesday night action in the NBA has probably left many fans looking for a breather and there are only four games to look forward to on Thursday night. 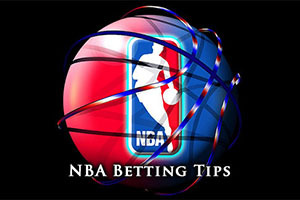 This isn’t a bad thing, and the games are still of high quality, but if you are looking for a couple of simple bets before the weekend kicks into life, the more sedate pace of a NBA Thursday is likely to suit you down to the ground. The Suns grabbed a massive win on the road, defeating the Hornets by a score of 106-111. The Celtics were also triumphant, winning in Boston by a score of 109-92 against the Magic. The Mavericks were big winners on the road, winning in Detroit by a score of 106-117. The Grizzlies just came out on top in a very close affair, beating the Spurs by a score of 116-117. The Clippers defeated the Pacers at home, although the score of 102-100 was closer than what many people predicted. The Cavaliers were demolished at home, with the Hawks grabbing a huge 98-127 win in Cleveland. Another team celebrating a big away day win was the Jazz, trouncing Miami by a score of 87-105. Unsurprisingly, the Raptors won at home, defeating the Nets by a score of 105-89 and the Trail Blazers were in confident mood, defeating the Bucks by a score of 104-97. The Nuggets had a terrible night at home, losing out to the Rockets by a score of 111-115. The Thunder hold a 12-13 record and their away form stands at 5-8 away from home. The Warriors are on a different plane at the moment, and they hold a 21-3 record, which contains an 8-3 record at home. The form guide definitely suggests that this is a home victory but there have already been some shocks in the NBA this week so Warriors fans shouldn’t take anything for granted. You only have to look at the contrasting form guide to realise that things are not always straightforward. The Thunder have won 7 games on the bounce while the Warriors are coming into this game hoping to bounce back from a defeat. You have a 5-0 record for the away team and a 4-1 record for the home team, so both of these teams know fine well what it takes to put their opponents away at the moment. The Warriors achieved a franchise best run of 16 games, which came to an end on Tuesday night in Memphis. The 105-98 defeat was the first loss the Warriors had suffered since the 11th of November! Elsewhere on Tuesday night, the Thunder won 92-104 in Sacramento, which was their fourth win on the road. Kevin Durant grabbed 26 points while Russell Westbrook offered up 32 points as the Thunder bounced back after letting a 16 point lead slip. Mitch McGarry and Jeremy Lamb are the injury concerns for the Thunder while the Warriors are keeping a close eye on David Lee, Harrison Barnes and Andrew Bogut. Given that both teams have been strong, it could well be a close one but taking the Warriors with a -3 handicap, at odds of 1.90, should ensure that you have a lot to smile about at the close of this one. Bet Now! The Knicks come into this game with a 5-22 record, which includes a 2-11 record away from New York. 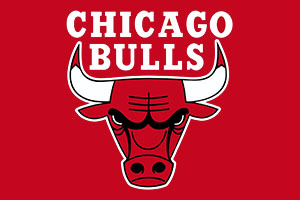 The Bulls hold a 15-9 record, which contains a 4-5 record in Chicago. Their away form has been strong, which is why the Bulls may be a bit wary about this game, but the home fans will still be expecting a victory against a team that has been in poor form all campaign. However, both teams come into this game having lost; the Knicks have lost two games in a row while the Bulls lost out in their last match. The Knicks hold a 1-4 record in their last 5 games while the Bulls are 3-2 in their last five games. Carmelo Anthony is playing well even with a few concerns about his left knee and he grabbed 26 points and 5 assists in the Knicks 87-107 loss at home to Dallas on Tuesday. The Bulls will be keen to bounce back from a 93-86 loss to the Hawks on Monday, a night when Jimmy Butler offered up 22 points and Taj Gibson provided 15 points and 17 rebounds. Both teams have a few injury concerns coming into this game. The Knicks have doubts about Iman Shumpert, Shane Larkin, Pablo Prigioni and JR Smith. The Bulls are closely monitoring Doug McDermott, Jimmy Butler, Joakim Noah and Taj Gibson. The Bulls, even with a negative handicap, should be good value in this game, and you can expect Chicago to pull away from their opponents before the end of the game. Bet Now! The Pelicans come into this game with a 12-12 record, which includes a 4-9 record away from home. The Rockets are much stronger, boasting a 19-5 record, and 9-3 record in Houston. The form book should suggest that the Rockets will triumph in this one. The Pelicans are on a run of form of scoring at least 100 points in their last games and this was the case in the Tuesday night win against the Jazz, the Pelicans eventually winning by 119-111. New Orleans had to overturn a 14 point deficit in the fourth quarter but they did so with Anthony Davis and Tyreke Evans both grabbing 9 points in the final quarter. The Rockets come into Thursday game buoyant after the Wednesday night win in Denver. The Pelicans have Eric Gordon suffering from a left shoulder injury while the Rockets have Francisco Garcia suffering from a combination of injuries. The Rockets also have doubts over Kostas Papanikolaou and Isaiah Canaan. While the Rockets have been strong, they had a tough test on Wednesday night and taking the Pelicans with a modest positive handicap could pay dividends on Thursday. Bet Now!